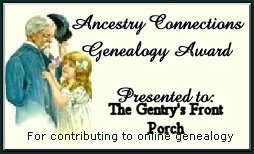 Hello, my name is Jane Tucker Gentry and I have been bit my the genealogy bug! I started this several years ago and I know if I work at it everyday it will never be finished. I grew up in Turner County, GA. 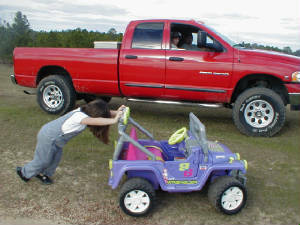 I lived in the country until I was nine years old and then we moved to uptown Ashburn GA. I lived on West End Avenue and life was good. Then I found lots of new friends my age lived on the same street, life was even better! We all formed strong friendships that I cherish to this day. 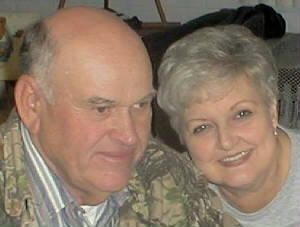 I married David Gentry Jr. and we live in Irwin County, GA. we have a farm and a wonderful family. 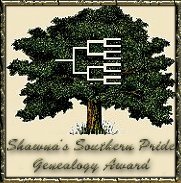 He shares my love for genealogy and we do our research as a team. He is interested in the pedigree and I could care less for that part. I love the family pictures and the stories about family. I have always loved history and this is our history. Crystal Lake and my sis and my brother, what more could a kid want. 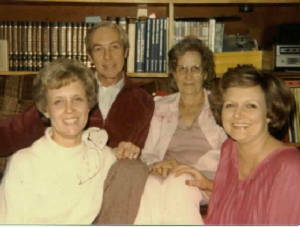 This our Frank Tucker Family picture taken in 1983 just about the time we found Mama had cancer, she only lived 6 months but they were precious months to us. 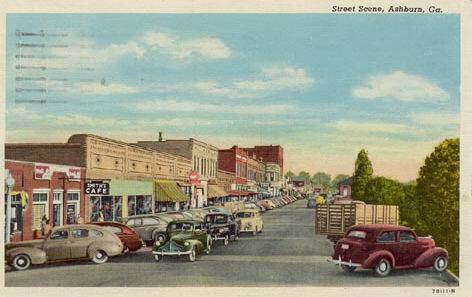 This is an old postcard Of Downtown Ashburn, Ga. circa 1940-50s, when Hwy 41 was the King of The Road with motels and cafes in every small town. No I-75 to route traffic quickly just a beautiful scenic trip to wherever you wanted to go. This was my hometown. 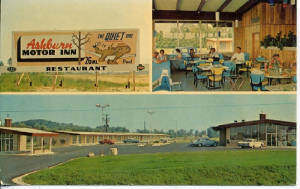 When I-75 came through Ashburn in the 60's, this new Motel was built. Come on in and make yourself at home. I have just made some sweet iced tea and the tea-cakes are fresh out of the oven. 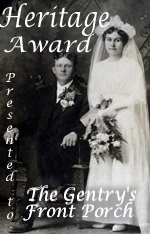 We will chat about our families and all things Southern. 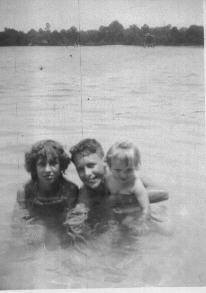 My families were original settlers in Old Irwin County. I am proud of everyone of them and on these pages I hope to share that love with you. 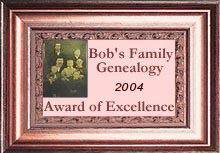 Every family needs to have a few members bitten by "the genealogy bug". The only problem with this is that once bitten you are never the same. Cemeteries, old records, old pictures and memories fill your every waking moment. No amount of medicine seems to help this terrible afflection. This is my husbands parents, at their 50th wedding anniversary. 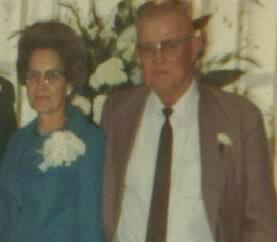 Buddys mom and dad lived in Irwin County, good salt of the earth farmers. They were very frugal and lived a simple good life. 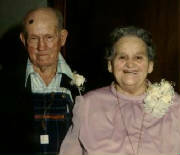 They both died in their home cared for my family. My parents lived in Turner County. My Dad farmed until I was 9 years old then we moved to downtown Ashburn, 402 West End Avenue. Daddy had a bait and tackle shop there. In my senior year he bought another shop in Tifton and after grduation Mama and I moved there. Hey! Sign my guestbook and tell me what you think of my rebuilt site. Click here to go the next page!